Harry Dean Stanton—that thin, quiet man with the sad eyes and haggard face, and one of the great character actors in American film—died last month at the age of 91. He had appeared in supporting roles in moves and television since the 1950s. Many remember him as one of the crew members in Alien, or the dad in Pretty in Pink, but really there are too many examples to list. As an actor he combined a curious vulnerability with an eccentric loner persona. Today I want to talk about two rare occasions when he played the main character in a film. When the playwright Sam Shepard met Stanton, he decided to write a part for him in a screenplay, which was then polished by L.M. Kit Carson, and directed by Wim Wenders. The film, from 1984, is called Paris, Texas. Stanton plays a drifter named Travis who wanders out of the desert somewhere in Texas, apparently suffering from a form of amnesia. With the help of some kind strangers he starts to remember a few things, and is reunited with his younger brother Walt, played by Dean Stockwell, who comes and takes him back to his home in L.A. Travis has been missing for years, and meanwhile Walt and his wife have raised Travis’s son, who is now seven. There’s a great deal of tension, much of it unspoken, between this fairly normal married couple and this strange, haunted-looking brother come back from who knows where. The film plays with the conventions of the western genre in a way that will be familiar to those who have read or seen Sam Shepard’s plays. The mystique of the lone wanderer, surrounded by romantic myth in American literature and film, is gradually stripped away until all we see is a flawed, lonely, and bewildered man who can’t seem to find a way to communicate with those he loves. Stanton is wonderful here, portraying the inner struggle of his character, even through the stillness of his gaze, the emotional paralysis finally breaking into words when he goes back to Texas to find his estranged wife, played by Nastassja Kinski. Wenders’ predilection for road films finds its perfect stylistic opportunity here, and I highly recommend seeing Paris, Texas, or seeing it again. Playing currently in theaters is a film finished only a few months before Stanton’s death: Lucky, the directorial debut of the actor John Carroll Lynch. 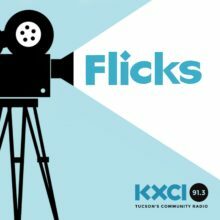 Stanton plays Lucky, a chain-smoking old man living in a small Arizona town, who suffers a fall one day in his kitchen for no apparent reason, an event which forces him to start facing his mortality. It really seems to have been made as a kind of tribute to Stanton, and this is especially poignant because of his subsequent death. I can’t help wishing that the screenplay was better—Logan Sparks and Dragon Sumonja have basically strung together a series of scenes in which Lucky has conversations with various people in his life, played by, among others, Ed Begley, Jr., David Lynch, and Tom Skerritt (who, incidentally, appeared with Stanton in Alien, way back in ’79). Some of the scenes work well, some not so much. Nevertheless, the film is fun, and the relaxed pace is appropriate for Stanton’s laid-back acting style. The photography by Tim Suhrstedt has a rich, luscious beauty. Some of the exteriors look a lot like Tucson, but it turns out that they were shot in Cave Creek, Arizona. Most of all, we get to see Harry Dean Stanton play someone very much like himself—ornery, sad, yet unexpectedly tender. Lucky is a fond farewell to a great actor.